JONATHAN MANGUM of "Let's Make A Deal"
The ikMe Comedy Club in Minnesota is the states flagship comedy club bringing well know and not so well known comics from all over the tri state area. Owned by Timm & Joan McCoy, this establishment is #1 in well done steaks and rare comedy bits. Chef Elmer Philipshead is standing by to serve you from a well printed menu and Receptionist Clara Sheep & Janitor Clifford Graham are always worth a few words here and there. 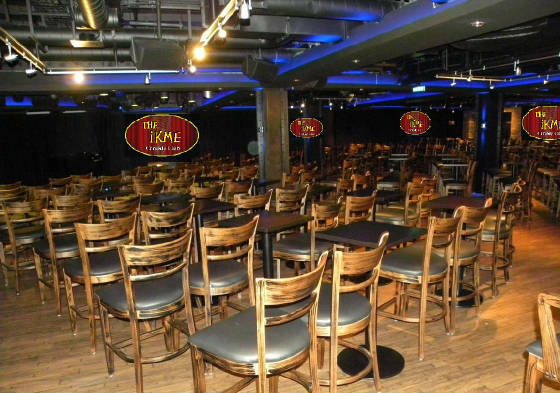 Come in or make a reservation to come in and wittness the sheer comedy of "The ikMe Comedy Club"